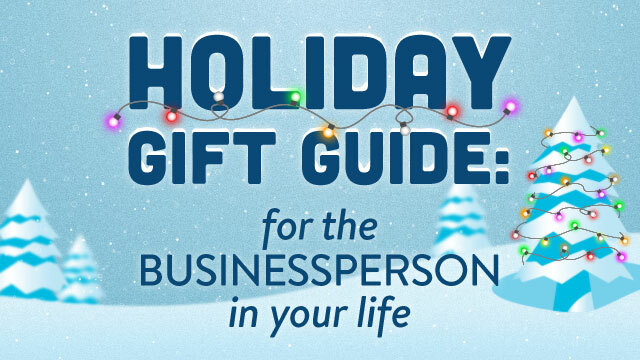 If you drew the businessperson in your family in the annual Secret Santa gift exchange, you’re probably scratching your head wondering what on earth to buy them. What do you get the professional who seems to have it all? We’ve got the answer: practical protection. Chances are that the businessperson in your life has all the latest and greatest gadgets, so get them something that can protect their mobile comrades! After all, dropping and ruining a phone or tablet that has important business documents on it can cause immeasurable damage. By gifting practical protection in the form of a smartphone or tablet case, you’re going beyond a gift-giver and becoming the hero of their office. DuraFolio for iPad Air and iPad mini is the perfect choice for iPad owners looking for sophisticated style. It provides military-grade protection without the bulk, so it’s great for business travel, carrying to and from the office and much more. Plus, an adjustable stand makes it a breeze to show clients and colleagues the iPad screen. SmartShell Satin for MacBook Pro provides an extra layer of protection with a hard shell but a soft, luxe finish. It’s the perfect choice for those who want to protect their MacBook against damage and scratches, but don’t want to sacrifice style. SmartFlex View for iPhone 5, iPhone 4, and Samsung Galaxy S4 is the perfect choice for the businessperson who spends a lot of time on FaceTime or Skype. A built-in retractable stand provides hands-free viewing, which makes it a handy case to have with business travel, too! If the businessperson in your life loves to unwind with a good book on their Kindle Fire HDX, we’ve got the perfect choice for a protective case. Our StyleFolio Kindle Fire HDX case provides all-around protection, high style plus an adjustable stand for hands-free viewing. Check Speck Buzz next week for our continuing gift guide series, packed full of gift ideas that will be sure to impress even the toughest-to-buy for.